What Are Essential Oils, and How Do I Use Them? Why Should I Choose Young Living Essential Oils? I Want My Own Essential Oils!! Online Essential Oils 101 Class! How to Save Money on Groceries (and other stuff) Without Clipping Coupons! Converting to the Oil Lifestyle, one day at a time! Hey everyone, it has been a long time since I have posted anything, sorry about that! This last year has been crazy to say the least, mostly because we have welcomed a cute little baby boy into our family! Things are just starting to calm down, he is 4 1/2 months old now, and his big sister is a very helpful 3 years old. Maybe I can get an hour to myself now?? Lol!! Anyway, when I found out that I was pregnant, I was familiar with a few of the oils that you probably should avoid at that time, because they might cause things like early contractions, or sometimes even miscarriage. Of course I did not want to take a chance that anything would go wrong by using an oil that I didn’t know the effects from. This is why I ordered Gentle Babies Essential Oils and Natural Remedies for Pregnancy, Childbirth, Infants and Young Children from Amazon. This book pretty much tells you what oils are safe during pregnancy and which ones to avoid. It is also a great reference for what to use on and with babies and kids. Fortunately, the only symptoms I had to deal with this time were about 4 weeks of all-day nausea. Not that this was minor or fun in the least, but I took the advice from this book and added 2oz. of NingXia Red each morning before breakfast. For some reason it helped, and I could get through the day and was able to eat without feeling horrible. I still like to drink the NingXia every day, just to keep my immunity up and have continued energy throughout the day. Another thing that was really helpful with sudden bouts of ugh feeling was to just smell some peppermint right out of the bottle. Clears your sinuses, too! Bonus! My advice for anyone that is not too familiar with oils, or maybe doesn’t want to take the time to research them to find out which oils would be great for your specific needs, try NingXia Red. It is a perfect place to start using oils because there are oils mixed in with the juice, and gives support for many different body systems. Just 1-2 oz. per day, how easy is that? 🙂 If you want to get some NingXia but have never ordered from Young Living before, they actually have a starter kit that comes with 2 bottles and 30 single-serving packets of NingXia Red, NingXia Nitro (which is NingXia with a natural energy boost! ), and a bottle of Stress-Away essential oil! That is totally my favorite oil because just smelling it is like a vacation in a bottle! After ordering this starter kit, you can order anything else you like from Young Living using your wholesale discount! Woo hoo! Check out just some of the benefits of this super-juice below! Categories: Everyday Oils, Everything Else About Oils! | Tags: Everyday Oils, kids, NingXia Red, Peppermint, Young Living Essential Oils | Permalink. I know it is very hard to stick to a strict diet and exercise plan, but what if you could get healthier without even worrying about that part first? So, if you haven’t gotten your oils yet, and you are totally ready, this month is the perfect time to start! Young Living is offering a promotion for this month only where you can buy a Premium Starter Kit for 10% off! Awesome! Ok, now onto the Friday Fitness part. If you have already started using oils and are loving it, did you know that oils are great to use before, during, and after physical activity? For example, RC is great to rub a few drops on the chest and back of neck before activity to help keep you motivated for your workout. During your workout, maybe add a drop of Peppermint oil to your water for an extra burst of alertness. After, roll on some Deep Relief for those hard-worked muscles, or even some refreshing Cool Azul gel! • Cool Azul™ Sports Gel, 3.4 oz. I love the case because it holds all the oils that you might use when working out, and it clips right onto your bag or even onto a belt loop. Now you don’t have to worry about leaving your oils at home when you go to workout! The product number is 5502, and you can order through your Virtual Office. I am totally putting this one on my next Essential Rewards order!! Categories: Everyday Oils, Everything Else About Oils!, Premium Starter Kit, YL Monthly Promotions | Tags: Cool Azul, Deep Relief, Essential Rewards, Peppermint, Premium Starter Kit, RC, Young Living Essential Oils | Permalink. DIY Tuesday: Homemade EO Gifts, Bonus Recipe! I’m going to cheat on the DIY post today- I didn’t make this one up myself but sure wish I had. Recently I attended an online Young Living Homemade Gifts party on Facebook. It was great because I just sat at my computer and got all these great recipes and ideas for cute, thoughtful, and easy gifts to make using Young Living Essential Oils. This DIY recipe came from one of the ladies hosting this party, on her blog called All Things G&D. I love doing the fun make and take projects, and it’s even better when you can share your project with others! I am really into my Christmas baking as well right now. I feel like I have been behind this year- between kids being sick, shopping, and going on a quick Disneyland trip, the past month has been crazy busy! Now is the time to catch up! Which brings me to this DIY recipe- it’s called Peppermint Chocolate Hot Cocoa Mix-In! This super festive, really easy, and pretty recipe would be great to give as a gift or have as part of a Hot Cocoa Bar at your holiday parties. I plan on putting pieces of this out along with whipped cream and extra marshmallows to add to some yummy Crock Pot Hot Cocoa at my family Christmas party this year. Just the picture itself looks yummy- like a white/dark chocolate peppermint bark! But even better- you add a piece to your hot cocoa and as it melts in, you get an even richer, more chocolaty and minty cup of awesomeness! I am making this right now as I type, and I can’t wait to try it when it is done! Peppermint Chocolate Hot Cocoa Mix-In. Categories: DIY Projects and Recipes, Try DIY Tuesday | Tags: DIY, kids, Peppermint, Recipes, Young Living Essential Oils | Permalink. Try DIY Tuesday (Sunday Edition): Homemade EO Gifts, Part 3! Some ways that this recipe could be customized would be to leave out the chocolate chips (especially for someone who is Dairy-free) and just make a peppermint flavored balm. You might want to add just a touch more beeswax pellets if you leave out the chocolate, because it might not harden as solid. You could also make a fruity flavored balm by using grapefruit, orange, or Citrus Fresh oils. You could also make a Cinna-mint flavor using Cinnamon and Peppermint oils. The possibilities are endless! 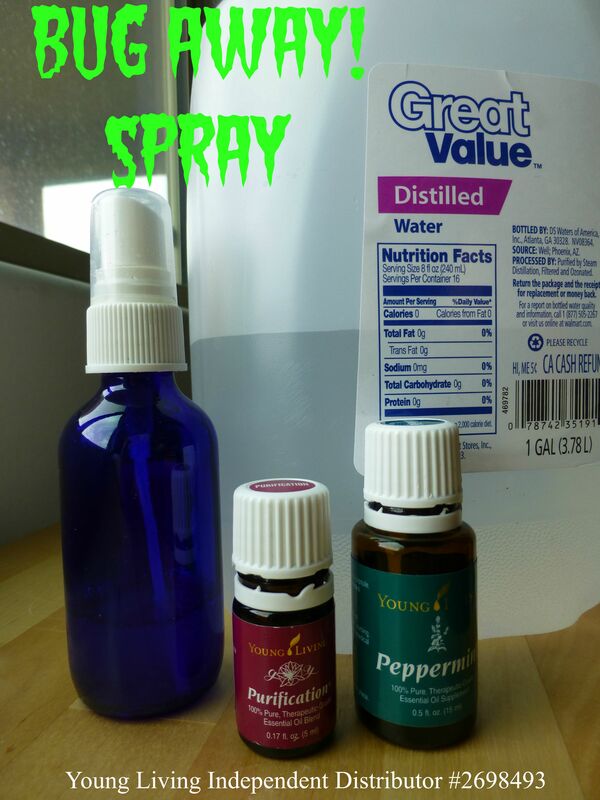 Categories: DIY Projects and Recipes, Try DIY Tuesday | Tags: 100% Therapeutic-Grade Essential Oils, DIY, Gifts, Peppermint, Recipes, Young Living Essential Oils | Permalink. Try DIY Tuesday (Friday Edition): Homemade EO Gifts! Do you need some stocking stuffer ideas? Do you need something for the office gift exchange? How about that person that has EVERYTHING? Try these fun and easy DIY gifts made with YL Essential Oils. Ugh, who has time to make gifts, you say? Well, recently I hosted a holiday themed Make & Bake & Take party at my house along with two ladies from our local YL team. Each guest that came made three gifts plus watched a pumpkin bread demo using oils, as well as drank festive drinks and ate snacks, all in about an hour and a half! Of course, if you make these gifts yourself it will not take that long, but you will have just as much fun! I will post one DIY per day, so you can try one at a time! Here we go! *A few notes- this cake can be made in a coffee mug if you just want a quick dessert for one. I put it in a jar for the ease of gift giving because of the nice lid, but if you can’t find the right size jar, you could just as easily mix all the dry ingredients together, pour in a Ziploc bag, and nestle into a cute coffee mug. Also, you might think that it looks kind of funny with the jar only 1/2 full of ingredients. I agree, and the ingredients will mix together if the jar gets jostled around. But, this much space needs to be left in the jar that is being used to “bake” your cake in because once you mix in the wet ingredients and cook, the cake will rise and expand (and explode all over your microwave if there isn’t enough space!). Mix sugar and Essential Oil in the bottom of the jar. Mix until the sugar has sucked up all the oil and no clumps remain. Layer the rest of the ingredients in the jar- cocoa powder, flour, salt, and chocolate chips. Screw on the top and tie on an instruction tag. To bake the Jar Cake, stir all dry ingredients together in the jar. Add 1 egg, 3 tablespoons milk, 3 tablespoons vegetable oil, and a dash of vanilla extract. Mix until well combined. Microwave the jar uncovered on high until cake is puffed, about 1 1/2 minutes. If you don’t have any of your own Young Living Essential Oils and would like to find out how to get some, click here! Categories: DIY Projects and Recipes, Try DIY Tuesday | Tags: 100% Therapeutic-Grade Essential Oils, DIY, Orange, Peppermint, Recipes, Seed to Seal, Young Living Essential Oils | Permalink. 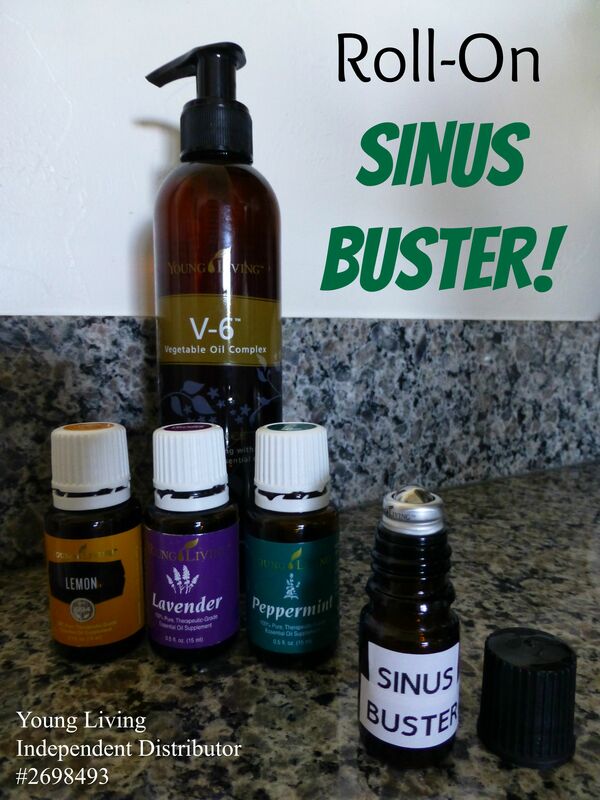 Try DIY Tuesday: Roll-On Sinus Buster! I have to say, this specific combination of oils is what totally convinced me that Essential Oils are the real deal! When I first learned about Young Living at an Essential Oils 101 class, I learned many uses for the oils that come in the Premium Starter Kit, but this combination was most interesting to me- Lemon, Lavender and Peppermint. The magical combination of these three, applied to your sinus areas on your face, as well as the back of your neck help with healthy sinus and nasal passage function during those trying times of year. Lemon includes naturally occuring constituent limonene (look up limonene in a Google search and read about how amazing it is for our bodies!). Lemon contains D-limonene, an antioxidant that has been linked to healthy immune system function. Lavender is the “Swiss Army Knife” of Essential Oils and has at least 1000 uses! Adding it to lemon and peppermint just makes it all the better. Fun fact: Lavender can make a refreshing nasal irrigation rinse! Peppermint supports focus and healthy cognitive function, supports the body’s ability to regulate it’s natural immune response, and supports the body’s respiratory system. Categories: DIY Projects and Recipes, Premium Starter Kit, Try DIY Tuesday | Tags: DIY, Everyday Oils, Lavender, Lemon, Peppermint, Premium Starter Kit, Young Living Essential Oils | Permalink. Categories: DIY Projects and Recipes, Try DIY Tuesday | Tags: DIY, Everyday Oils, kids, Peppermint, Purification, Young Living Essential Oils | Permalink. Hello! I am a mommy to an adorable 3 year-old daughter and 9-month old son, and have been married to my High-School sweetheart for over 12 years! We live in toasty Arizona and have been here our whole lives (so we are used to the heat, LOL!) We are just getting started converting our chemical-filled household to all-natural, using Essential Oils! Come join me on this Oily journey!